The Kang Yatse II 6240m or Kang Yatze located at the East end of the Markha valley region of Ladakh just above Nimaling plains. The Kang Yatse peak is most dominant peak in Markha valley. 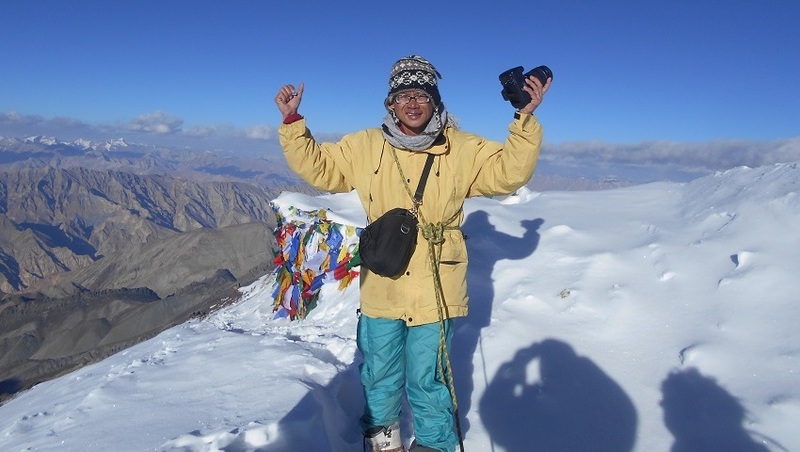 The lower western Peak of Kang Yatse II is easier (Alpine PD - Peu Difficile) and more frequently climbed. The main summit of Kang Yatse I required some technical ability. Dzo Jongo is delight of trekkers as it doesnt required any technical climbing. 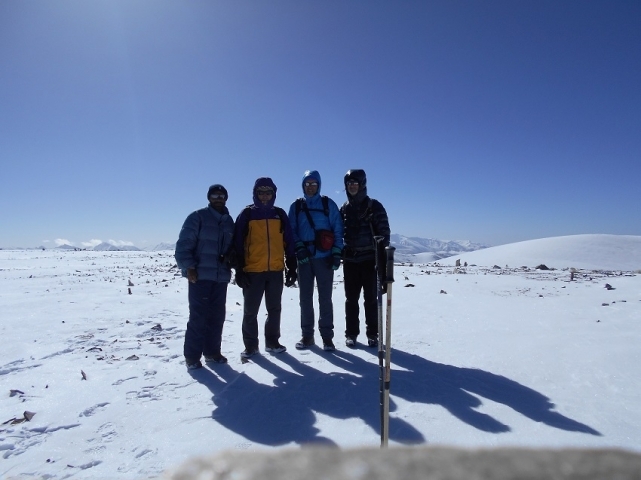 If you are seeking for first Himalayan 6000m peak and away from the crowd that you may see in Stok Kangri peak. This side of Markha remain calm most of the time. 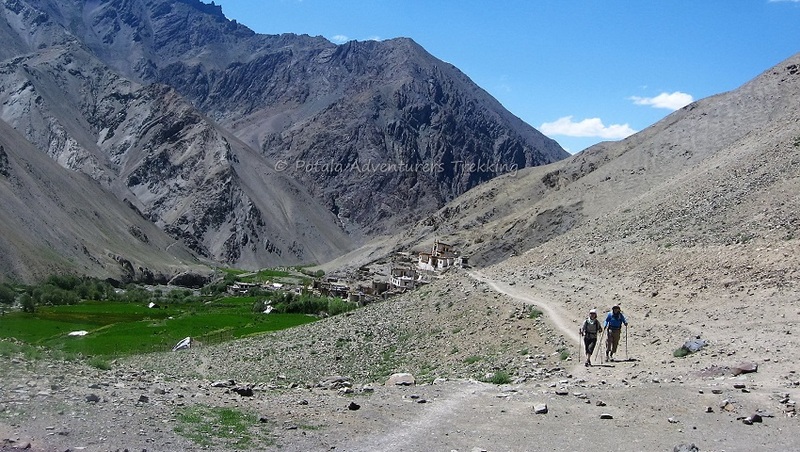 We start our excellent trek from Chilling after visiting ancient village of Alchi. 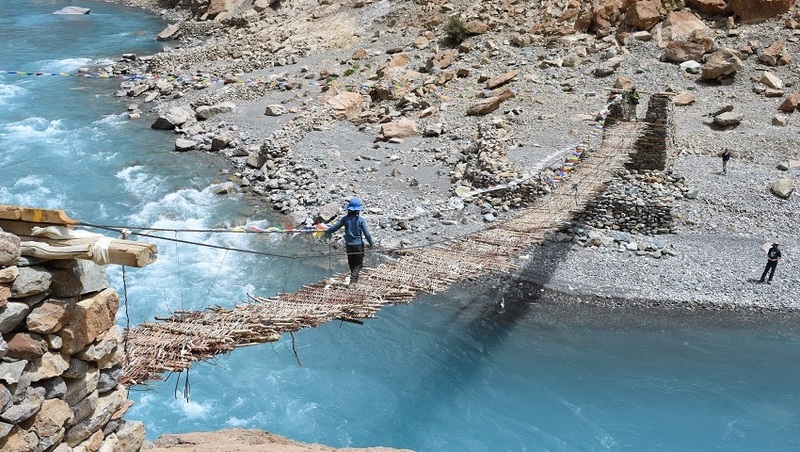 Crossing Zanskar River and entering into Markha valley. We trek along the Markha river enroute we pass through barley fields, beautiful villages, and experiencing daily life of Ladakh people. We climb to an open pasture of Nimaling, and climb gradually to the base camp. With a panoramic view finally ascending to the peak of Kang Yatse II. On a clear sky the view goes upto K2 and Karakoram range peaks. Finally we cross pass of kongmaru la and descend down to Chuskirmo, Chogdo to Shang. Finally drive along the right banks of Indus River to Leh. Day 12: Trek Shang Sumdo (3660m) 3-4, Drive Leh 2 hrs. Day 13: Leh - Delhi flight. - 3 nights bed & breakfast hotel accommodation in Leh at 3 star hotel on twin sharing basis. Day 15: Trek Shang Sumdo (3660m), Drive Leh. Day 16: Leh airport drop. Fly Leh to Delhi. Arrive Leh, Leh airport pickup and check into hotel. Afternoon is free to relax and acclimatize to the altitude of 3500m as well as visit Leh bazaar. visit the Royal Palace of Leh from the 16th century. Leaving Leh we drive to Chilling, where a bridge over the Zanskar River marks the starting point of today's route. After the loads were loaded onto the horses, you can loosely with only a small daypack ongoing running. 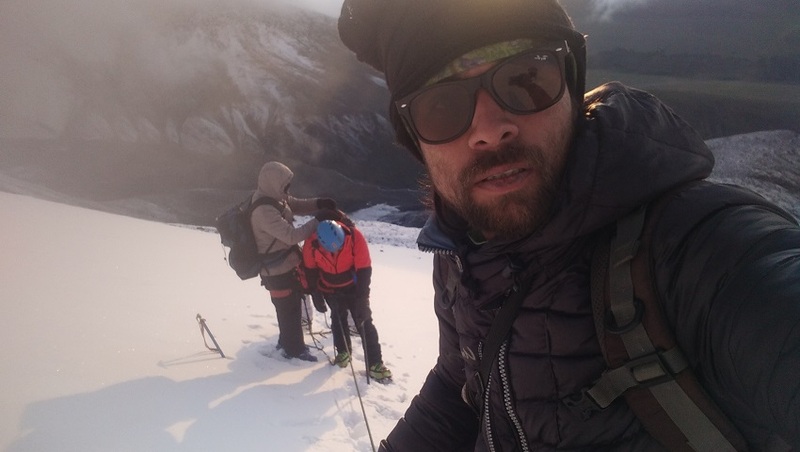 It is necessary to overcome a first small pass (3400 m), before you reach the first large village in the Markha Valley with Skiu. Leaving Markha today you cross the river several times. We follow the clear path along the right bank and pass beneath the Humlung monastery. Few hours later arrival at high village of Hankar, continue on the track leaving the broad valley and turning towards narrow valley. As the trail goes higher and higher up the landscape presents spectacular scenes. Lastly crossing the bridge and continue to higher meadows of Thachungtse. Today leaving camp we pass several Mani walls and come across a small lake. From here you have a spectacular view of the two peaks of Kang Yatse. Nimaling is a high pasture ground where you will find herder from Markha valley and Shang Sumdo area graze their livestock during summer time. We will have oppurtunity to taste fresh Dzo milk and other milk product to taste. The view of main Markha valley to the west is wonderful especially during sunset. From Nimaling trail up the mountain to reach more high pasture where you will find Dzo and yaks grazing. Through the loose rocks to reach a point where we will get clear view of Kang Yatse. We establish base camp near the stream. Today take the day to rest and before noon practice some technical skills which can be useful for next day and in the afternoon take some rest or gain some altitude. The summit day. Leaving midnight early approach to the edge of Kang Yatze II. In the beginnig walking on scree and moraine than onto snow. 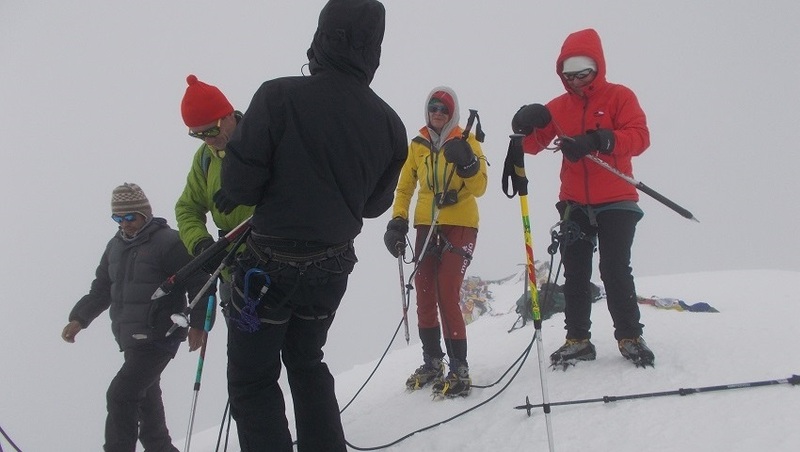 At the snowline crampons are applied and the rise follows. Gradual ascent all the way up except last few steep parts where you rope up. Reach at the summit by sunrise and enjoy the great view over the Markha Valley to the West and Zanskar to the South, Ladakh & Karakoram to the North. Descent to base camp. We keep this day as reserve day or rest day, in case of any bad weather. This day will be use as alternative. We pass the small village of Chokdo and continue along the stream to village of Shang Sumdo. leaving Shang Sumdo, we say adieu to our horseman and drive to Leh. Morning transfer to airport and flight to Delhi. Arrive Leh. Leh airport pickup and check into hotel. Afternoon is free to relax and acclimatize to the altitude of 3500m as well as visit Leh bazaar. visit the Royal Palace of Leh from the 16th century, Overnight in hotel. Day 12 Trek Shang Sumdo (3660m) 3-4, Drive Leh 2 hrs. Day 13 Leh - Delhi flight.